You’ll hear a lot of different answers to this question and they’re mostly all right and all wrong. Others make it simple: the healthiest tea is matcha. This is a high quality powdered green tea from Japan. It is made by grinding the tea leaves from the highest-quality teas into a fine powder. Because of this the whole leaves are consumed, not just the brewed essence, which means the health benefits are multiplied by a factor of at least 10. 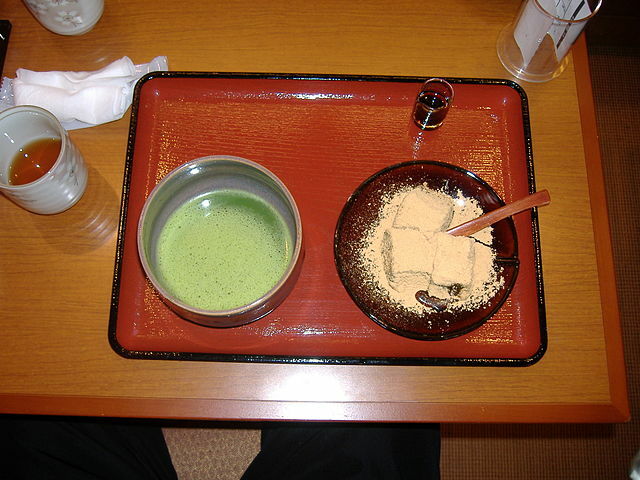 For more on matcha green tea powder, go here. Apart from matcha, it gets a little bit complicated. Mostly you’ll hear that white tea is the next healthiest, but that isn’t really true. It often gets credit for having less caffeine and more nutrients, but none of those things really depend on the type of the tea. They depend on the tea plant itself and the area and manner in which it is grown. This means that a white tea from a less healthy plant is less healthy than a white tea from a healthier plant. Similarly the less healthy white tea is less healthy than a black tea from a healthier plant. Does that make sense? If not, check out this page on white tea. Because of this, I wouldn’t worry too much about what type of tea you’re drinking. It’s hard to know what kind of plant it came from and where it came from and how it was grown. You’re best off just drinking whatever you prefer and whatever one tastes best to you, as the differences in the health benefits are not generally all that great anyway. The one thing you might want to look out for are human pollutants. By that I mean chemicals, pesticides, etc. You want to be especially wary of these in teas from China and even more in teas from India. Regulation is somewhat lax in these countries and enforcement is virtually nonexistent due to ridiculous levels of corruption. It’s hard to know exactly what you’re getting when you buy an Indian or a Chinese tea. That said, you could say the same thing for any food we buy. Personally, I tend not to even worry about it, since there is nothing I can do. If I like the taste of the tea, I’ll drink it. So what was my conclusion exactly? Well, I guess I didn’t really have one. Basically, if you’re drinking tea especially for the health benefits, you’ll want to go with matcha. The main problem with this green tea powder is that it is very difficult to brew. Luckily, you don’t have to brew it. As a powder it can easily be added to all kinds of foods and there are hundreds of recipes to be found online. After that, I’d go for whatever you like. Personally, I enjoy green teas like sencha from Japan or, if you prefer milder tea, a Dragon well from China. White teas are also incredibly delicious. Here I’d recommend the highest-quality white hair silver needle, or the second highest-quality white peony. Whatever you choose, make sure to follow the brewing instructions carefully, so that you get a cup you’ll actually enjoy. Here’s to your new healthy lifestyle. For more on white tea, try the white tea guide from Wikipedia. « Where does tea come from?